New Zealand has a huge range of backcountry huts, most of which are available for public use. Some can sleep 80 people, while others are tiny two-bunk affairs with not even room to stand up in. They are located in our mountains, on the edges of fiords, our coastlines and lakes, beside rivers, in the bush and on the open tops. Together they form an internationally unique network of backcountry shelter, and these huts, so often full of character and history, are fantastic destinations in their own right. A Bunk for the Night offers a guide to over 200 of the best of these huts to visit. This inspirational book has been written by Shaun Barnett, Rob Brown and Geoff Spearpoint, the authors of the seminal, best-selling history of New Zealand’s backcountry huts Shelter from the Storm. Featuring well-known huts from the main tramping areas in both the North and South islands, the authors have also scoured the country for other interesting huts in out-of-the-way places, such as those in the Bay of Islands, on Banks Peninsula, in the Whanganui hinterland, the dry ranges of Marlborough and Stewart Island/Rakiura. This is a wonderful smorgasbord of must-visit huts, and an essential book for anyone who enjoys the great outdoors. The back country of New Zealand is sprinkled with cabins where a weary traveller may find a roof for the night (and sometimes little else). Some require booking and payment in advance, others are free to use. All this, and more is explained in the introduction. The authors have selected some two hundred or so from the nearly thousand huts, most administered by the Department of Conservation, which they consider the best, and described them in some detail. Each description includes a heading with the location, the number of bunks, heating, and facilities. This is followed by some paragraphs explaining what makes the particular hut interesting, perhaps something about the location, or about its history, and often how to get there. Each is accompanied by a colour photograph; and I suspect that is what will most likely draw people, especially those who are not trampers, to look into this book. It’s obvious that this book is a labour of love from a trio of good keen kiwi blokes who really enjoy getting away from it all. It is not intended to be a book for those whose idea of travel involves aeroplanes and motor cars. This is a book for the person who hikes, who travels on their own two feet into the real New Zealand that lies far beyond the noise and the bright city lights. For me, the appeal is in the excellence of the photography and the stories. 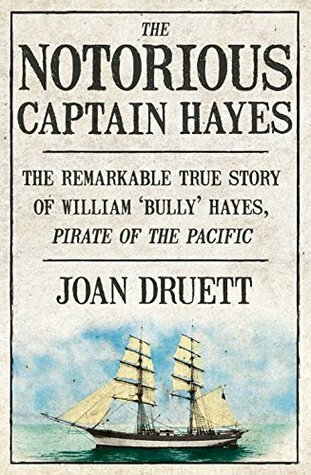 The incredible true story of William ‘Bully’ Hayes, the so-called ‘Pirate of the Pacific’: a story that separates the myth from the man. Famous throughout the Pacific, from the US to Australia and all points in between, Captain Bully Hayes has been the inspiration for writers ranging from Robert Louis Stevenson to James A. Michener and Frank Clune. Rousing films have been based on his life, and his name adorns bars and hotels all over the Pacific. But the truth is both less noble and more intriguing than the myth. The Hayes of legend was a product of the popular press at the time, the construction of editors who were determined to create a romantic figure to feed their readers’ appetites. This, the first proper biography of this legendary nineteenth-century figure, simultaneously sorts the facts from the fantasy and recounts an amazing true story of a genuine rogue and adventurer, against the backdrop of the Pacific during the great age of sail and trade. William Henry Hayes, better known as Bully Hayes. A name famous, or infamous, across the Pacific. It’s hard to go far out there without tripping over some reference or other to him, sly asides of piracy, shonky deals, and the whiff of romance and swashbuckling. Every ocean has its ne plus ultra bounder, and the Pacific’s is Bully Hayes. The problem with any detailed account of Hayes is that there is a paucity of detail surrounding much of his life. Druett does the best she can with material, cross-checking gossip with known facts, weaving a tale that is both greater and less than the romantic melodrama attached to the name. It is likely he was born in Cleveland, Ohio in 1828 or 1829 and served for a period in the US Navy. He is first reported regarding the capture of a notorious American pirate Eli Boggs near Hong Kong. The two salient features that remain are his charm, which many commented on, and his ability to escape creditors and have his shipping business arise like the phoenix when all seemed lost. Even his death was barely attested. This is not to say that he always operated as a rogue, nor a seafarer. Hayes spent a considerable period in the New Zealand colonies, engaged in inn-keeping and entertainment before the fickleness of fortune drove him back to merchant shipping. He also had a number of wives. However, as divorce was a simple affair in the mid-nineteenth century, several of these relationships were probably bigamous. That said, he was no different to many in the colonies. Druett writes with style and tries to keep the known facts foremost. Where this is not possible, she presents the accounts, discounts obvious contradictions before offering the most probable explanation. By keeping to this formula, Druett’s methodology is transparent, and we are informed of the hazards of biography where solid data is deficient. I found this an enjoyable read and hope to see more of Druett’s work in future. When she asks Malcolm to keep his eyes open, Malcolm sees suspicious characters everywhere; Lord Asriel, clearly on the run; enforcement agents from the Magisterium; a gyptian named Coram with warnings just for Malcolm; and a beautiful woman with an evil monkey for a dæmon. All are asking about the same thing: a girl–just a baby–named Lyra. This is the backstory of Lyra Belacqua, also known as Lyra Silvertongue, the heroine of Philip Pullman‘s His Dark Materials trilogy. This is the first volume of her story. As a baby she is introduced as being left with the nuns near Oxford. 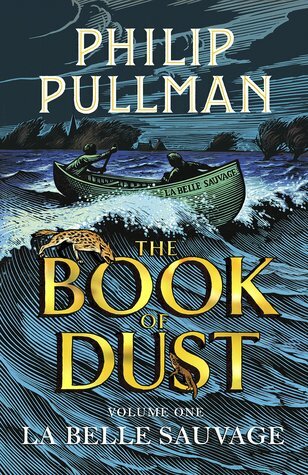 When a major flood threatens the south of England, she is rescued by the book’s protagonist, eleven-year old, Malcolm Polstead and his friend Alice. They have to make their way to safety pursued by the villainous Bonneville and Consistorial Court of Discipline, who want Lyra. This is all to do with the Dust, which Lord Asriel studies and which seems to be a significant component of matter in the idea of entwinned matter and spirit. Spirit being represented by the daemons animal spirit creatures everyone has. What do you do with a baby who is destined to be the 0catalyst to change the way the world works? With no one they can trust they have to find Lord Asriel, Lyra’s father, so they can take Lyra to Jordan College Oxford and Lord Asriel can ask for Scholastic Sanctuary for the child. A must-read for fantasy fans both young and old.